For many years now, we have carried along a small Homelite 14" electric chainsaw to camp with us. Electric? Yeah - well a couple of reasons pushed us to go this route. 1. Don't want to carry anything loaded with fuel in the underbelly of my 5'er. 2. Don't want to carry more fuel or fuel/oil than I already do. 3. Didn't want to be yanking on a starter cord at camp. Already do that with my weedeater at home. 4. Maybe most important - it is QUIET vs. a gas saw. 5. Need electric? Well...I have a Honda EU2000 generator sitting at camp! The big con was always that the saw was weak and I couldn't begin to tackle anything much larger than say, ~4" diameter logs. This wasn't much of a problem because it's intended use was for campfires which we try to keep small (but don't always succeed) anyways. The Homelite's electric motor finally gave out earlier this year. Doing some research, I settled on a new electric saw and to go along with it, a new, larger gauge power cord. 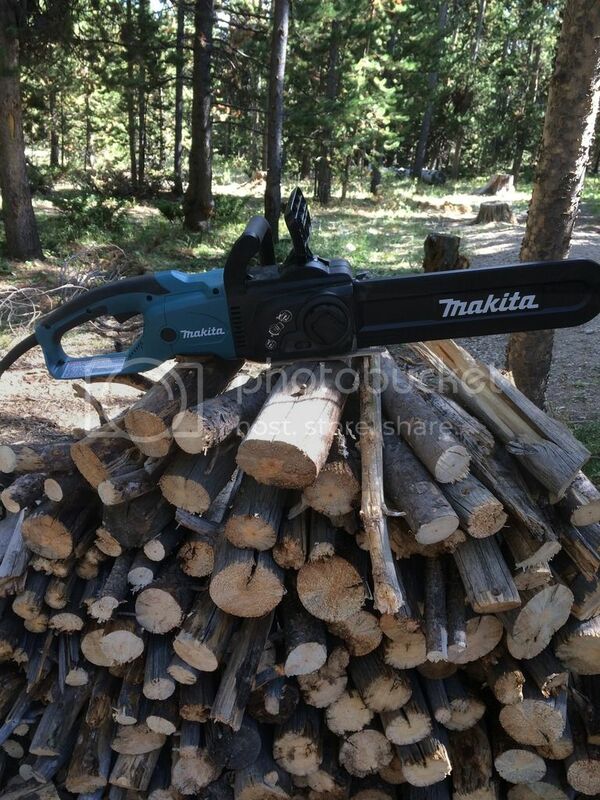 What I bought is the Makita 3551a Chainsaw with a 100' 12ga 3 wire extension cord. This saw is a dramatic upgrade over the Homelite. 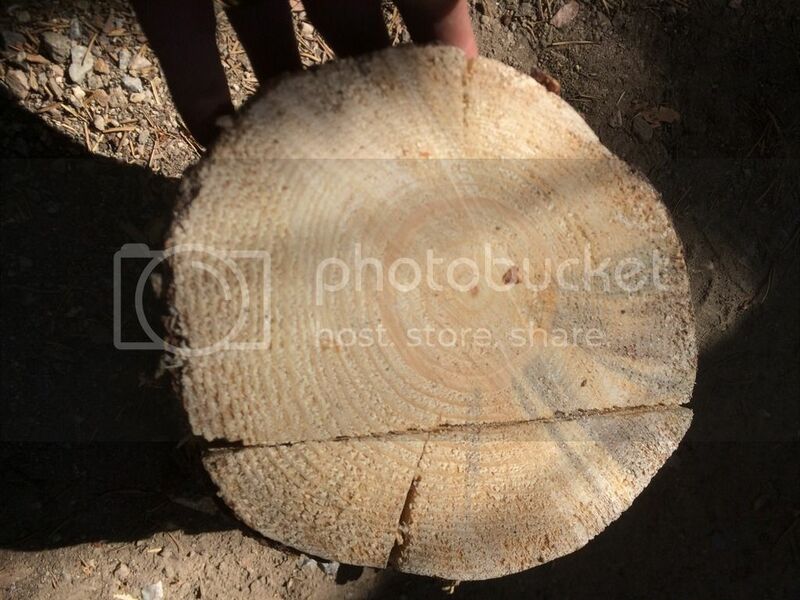 I was able to saw ~10" diameter logs without trouble so the performance was for us, very impressive. Still quiet - maybe even moreso than the Homelite. Definitely recommend this saw! If you are interested - as an FYI - the larger version (4051a) just has a longer bar - same motor and everything else.